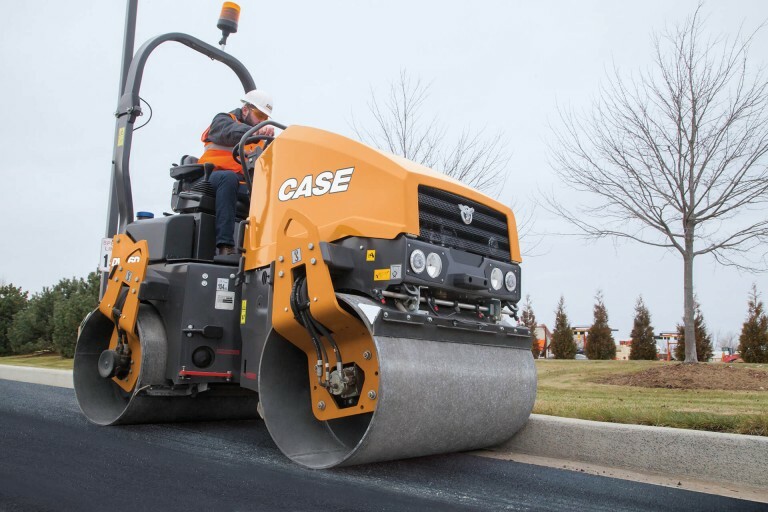 The 32-hp DV26D asphalt roller combines a compact size and excellent maneuverability with the same high-performance features found in heavy asphalt rollers and a simple Tier 4 Final solution. At an operating weight of 5,490 lb. and with independent hydrostatic drives, each drum delivers a centrifugal force of more than 10,500 lb. and they can be hydraulically offset for greater performance through turns. Key controls are intuitively integrated into the sliding seat for constant control and, thanks to a tapered hood and no overhangs, operators can comfortably see to drum edges and all around the machine.